Searching for one’s roots in Ireland used to be both difficult and challenging, partly because records did not exist and partly because those that did were not easily accessible. But so much has changed in the last twenty years thanks to the digitisation of so many records. The two complete Censuses that exist and the fragments of those which were destroyed are now online and are searchable free of charge. This has enabled families, rich and poor, famous or not, to find a picture of who they were and where they lived at the beginning of the twentieth century. Civil records of births, marriages and deaths for the whole of the country are slowly but surely coming online in a way we could not have foreseen twenty years ago. The original registers are being transcribed and imaged. The transcription of Church records has been ongoing since the 1980s. Images of the actual records accompany the transcriptions. The Roman Catholic records in the possession of the National Library have been made available and these same records have been transcribed are searchable. Quaker records have been transcribed and are online and the remaining records of the Church of Ireland are being digitised. Because most of the Census records from 1821 to 1891 were destroyed for different reasons, taxation records on property and tithe records dating from the 19th century have acquired an enormous importance for family history. The digitisation of the 300 volumes of Griffith’s Valuation in 1998 was a turning point in making existing records available to anyone with Irish ancestry. A slew of other records from prison records to military records are now available online. Like many other genealogists, Aiden Feerick came to genealogy from a career in teaching. He is a founder member of probate and general research company, Ancestor Network. 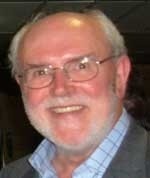 He is a member of Accredited Genealogists Ireland and of the Association of Professional Genealogists. He is also a member of the Genealogical Society of Ireland and of the Irish Genealogical Research Society. He has an interest in Church records and because he comes from a farming background has a keen interest in land records and Wills.